Medical marijuana is keeping Arkansas legislators and regulators busy, Kentucky and West Virginia see full-fledged medical marijuana bills filed, a CBD cannabis oil bill heads to the governor's desk in Indiana, and more. Last Thursday, the House approved a bill banning military members from becoming registered caregivers . The body approved House Bill 1451 . Bill sponsor Rep. Douglas House (R-North Little Rock) said federal law prevents military members from acting in that capacity. The measure now goes to the Senate. Also last Thursday, a bill that would ban smoking medical marijuana was introduced . State Sen. Jason Rapert (R-Conway) filed Senate Bill 357 , which would make it illegal to consume medical marijuana by smoking it. The bill also removes a provision in the current law that bars landlords from prohibiting the use of non-smoked medical marijuana, leaving renters wondering if landlords will just bar any use of medical marijuana. On Sunday, a new poll found support for smoking medical marijuana and not waiting for the feds . A new Talk Business and Politics/Hendrix College poll had 50% in support of allowing medical marijuana to be consumed by smoking, with only 41.5% opposed. A bill to bar the use of smoked medical marijuana is before the legislature. Similarly, 51.5% opposed waiting for the federal government to legalizes medical marijuana, while 42% were in favor. On Tuesday, a state panel approved new medical marijuana rules . The state Medical Marijuana Commission approved final rules governing how the state's medical marijuana system will be regulated. Next comes a public hearing set for March 31, and then the rules must be approved by the state legislature, which must happen before May 8. After that, the commission will use the rules to determine who gets licenses to grow and sell medical marijuana. On Tuesday, a CBD cannabis oil bill was headed for the governor's desk . The House passed Senate Bill 15  on a 98-0 vote. The Senate had approved the bill last week, so it now goes to the desk of Gov. Eric Holcomb (R). The bill would allow people with epilepsy to use CBD cannabis oil. On Monday, a CBD expansion bill was filed . The state currently allows the possession of CBD cannabis oil for the treatment of epilepsy, but it's illegal to manufacture or distribute it there, rendering the current law unworkable. A bill filed by Public Safety Committee Chair Rep. Clel Baudler (R-Greenfield), House Study Bill 132  seeks to begin to break that impasse by allowing the University of Iowa's Carver School of Medicine to recommend which conditions would qualify for use of CBD cannabis oil. But Baudler said another bill would be necessary to expand access. Last Friday, a medical marijuana bill was filed . Freshman Rep. John Sims (D-Fleminsburg) has filed a medical marijuana bill, House Bill 411,  which would give doctors the ability to recommend medical marijuana for patients. Sims said he saw the bill as a tool for reducing opioid addiction in his state. On Monday,a funding measure for the medical marijuana system won a Senate committee vote . The Senate Appropriations Committee has approved a funding measure that allocates a little over $1 million to oversee implementation of the state's new voter-approved medical marijuana law. The Health Department told legislators it does not expect any revenue from the program this year, but it should generate $1.3 million in revenues over the next two years and be self-supporting at that point. On Tuesday, a medical marijuana bill advanced . A House panel voted 3-0 Tuesday to advance House Bill 3128 , a full-fledged medical marijuana bill that includes provisions for dispensaries. The bill now goes to the full Medical Military and Municipal Affairs Committee. 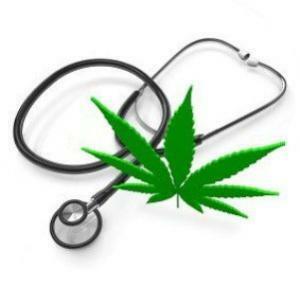 On Tuesday, a medical marijuana bill was filed . Sen. Richard Ojeda (D-Logan) and a handful of cosponsors introduced Senate Bill 386 . The measure would set up a commission to license medical marijuana growers and regulate distribution of the medicine through dispensaries. It's been sent to the Senate Health and Human Resources Committee. Last Tuesday, a medical marijuana initiative signature gathering campaign petered out . Medical marijuana will not be on the ballot next year. Organizers of a signature-gathering campaign failed to hand in signatures to the secretary of state's office by the Valentine's Day deadline. Organizers said they will continue to fight to bring medical marijuana to the Cowboy State.